With the summer solstice passed and multiple researchers proclaiming the continued ascendency of solar across global energy markets, now is a good time to consider the ways that photovoltaic (PV) power continue to reshape the planet. Many of us not only have futures tied to solar, but are actively helping create that future. As the sun reached its northern hemisphere zenith, major trade events across Asia, Europe and North America have addressed new efficiency thresholds, module prices, and the specter of consolidation amongst Chinese panel makers. Meanwhile, the latest Bloomberg New Energy Finance (BNEF) report indicates that solar and wind energy will comprise half the world's power supply by 2050. The new BNEF report also notes that energy storage prices have fallen precipitously; we can thank technology advances and demand-driven economics for battery costs that continue to fall. Since 2010 battery prices have decreased up to 80 percent. This massive change is due in part to the growth of practical (and affordable) electric vehicles (EVs). Report authors expect this to continue through the 2020s as manufacturers design vehicle fleets dominated by all-electric autos and light trucks. Beyond falling battery prices, PV module tariffs and big changes in China's capacity forecasts, this edition of Solar+Power Management looks at employment amongst energy sector workers (renewables, oil, gas, and nuclear) courtesy of the Global Energy Talent Index (GETI) report. The good news: most renewable energy workers expect larger paychecks, and those who haven't yet seen an increase hope to have happy news by the New Year. But there is a cautionary note for business owners: 95 percent of renewable energy workers would be glad to relocate if their present position isn't satisfying. Cheering on the future of solar energy in automotive applications are members of the all-student Durham University Electric Motorsports Team. 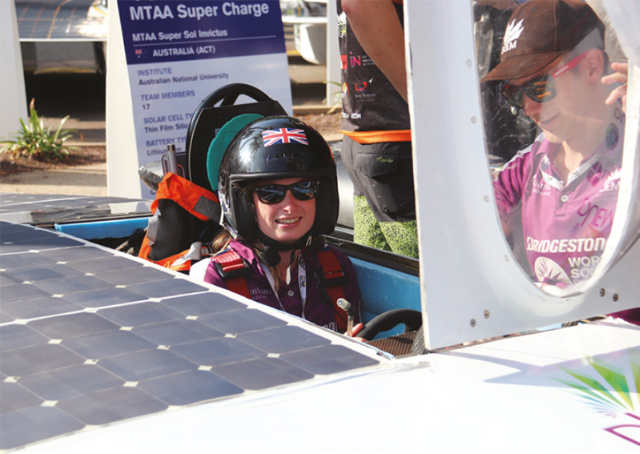 These UK stalwarts have persevered multiple times in grueling distance and endurance races, completing Australia's Darwin to Adelaide World Solar Challenge race three times. The UK team has fielded three cars, with their fourth under construction for 2019. 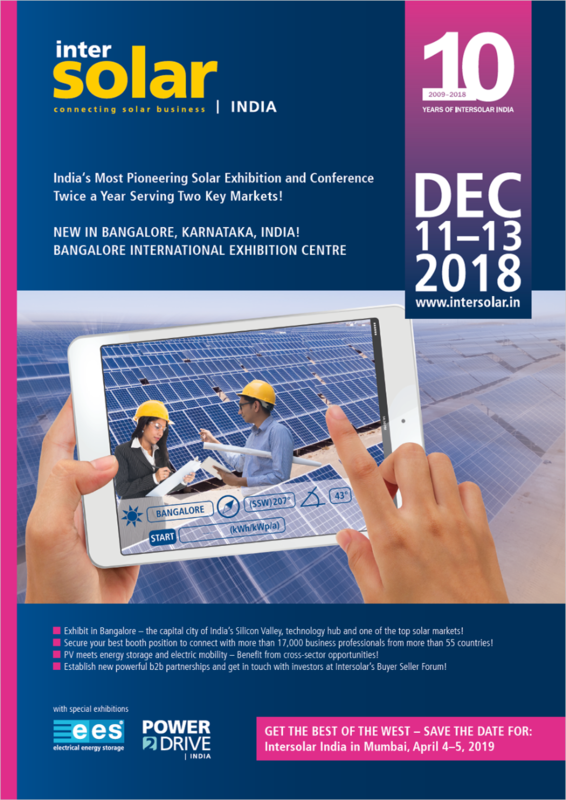 Also in this edition is a story from the US in which the innovators at Edisun, a Southern California company, are transforming the commercial and industrial (C&I) segment with their novel PV Booster tracking system, giving large-scale solar installers everywhere new opportunities for growth in 2018 and beyond. The energy sector's global transformation continues. The future is being shaped by those who innovate by following the sun. The Irish Minister for Communications, Climate Action and Environment, Denis Naughten, T.D. has received Government approval for the new Renewable Electricity Support Scheme (RESS). The new Scheme will incentivise the introduction of sufficient renewable electricity generation to meet national and EU-wide renewable energy and decarbonisation targets out to 2030. In addition, the RESS will deliver broader energy policy objectives including: enhancing security of supply; diversifying the renewable technology mix; and increasing community participation in and benefit from renewable energy projects. Announcing the new Scheme the Minister for Communications, Climate Action and Environment, Denis Naughten said: "RESS has been approved by Government and I will now seek EU State Aid approval. This Scheme will mark a shift from guaranteed fixed prices for renewable generators to a more market-oriented mechanism (auctions) where the cost of support will be determined by competitive bidding between renewable generators. The RESS is a critical step in bringing Ireland to a leadership role in relation to renewable energy, climate action, and energy efficiency. Communities are central to the design of the new Scheme and this will have a transformative impact on renewable energy projects right across the country." Main Elements of the new Scheme: Community Participation: A Community-led category and community capacity building measures will provide opportunities for communities to play their part in Ireland's renewable energy transition. Projects looking for support under the new RESS will need to meet prequalification criteria including offering the community an opportunity to invest in and take ownership of a portion of renewable projects in their local area. A national register of community benefit payments will also be established. The development of RESS included an in-depth study of international best practice, across Denmark, Germany, Canada and Scotland. These countries are world leaders in community-led renewable electricity projects. Increasing Technology Diversity: The new Scheme will help realise the Government's policy objective of enhancing security of supply and broadening the renewable energy mix. As renewable technologies mature and costs fall, Ireland is well placed to take advantage and greatly diversify its renewable portfolio. Minister Naughten added: "While the auction approach will provide a route to market for multiple technologies, it will do so in a competitive, cost effective framework. The use of certain "levers", such as near term delivery dates and "single technology caps", will accelerate the broadening of the renewable technology mix, particularly in light of falling costs for a number of renewable technologies." Delivering Ireland's contribution to renewable electricity targets out to 2030 and close the gap on 2020 renewable electricity targets: RESS has been designed to deliver Ireland's contribution towards an EU-wide renewable energy target of 32%, out to 2030, within a competitive auction-based, cost effective framework. The new scheme is framed within the context of Ireland's effort to meet it's 2020 renewable energy targets and the European Union's Clean Energy Package, in particular the recast Renewable Energy Directive and the development of Ireland's draft National Energy and Climate Plan (NECP). Renewable Electricity Auctions: RESS auctions will be held at frequent intervals throughout the lifetime of the scheme. This will allow Ireland to take advantage of falling technology costs and by not auctioning all the required capacity at once, we will not be "locking in" higher costs for consumers for the entirety of the scheme. The Scheme will provide for a renewable electricity (RES-E) ambition of up to a maximum of 55% by 2030, subject to determining the cost-effective level which will be set out in the draft National Energy and Climate Plan (NECP). RESS auctions will be designed in line with trajectory targets identified in Ireland's NECP. In addition, the first RESS auction in 2019 will deliver "shovel ready" projects, reducing the gap to 2020. Ireland's current RES-E target is 40% by 2020. RESS auctions will also assist in the early delivery for our trajectory to 2030. While blockchains are a promising technology, unlocking their potential for a truly decentralised energy system will require research from a variety of areas. By Valentin Robu, Associate Professor, Smart Systems Group, Heriot-Watt University, David Flynn, Associate Professor, Embedded Intelligence in Energy Systems, Heriot-Watt University and Merlinda Andoni, Research Associate, Heriot-Watt University. As the cost of solar panels, wind generation and battery storage falls, individual households and consumers are increasingly generating their own electricity, becoming less reliant on the power grid. This has led to energy systems becoming increasingly decentralised, which helps shift market power from large utility companies to individual "prosumers" - consumers who produce their own electricity. Academics studying the UK's energy future are increasingly interested in the potential of these community energy models, such as the Findhorn ecovillage in northeast Scotland, with its energy efficient homes, solar panel arrays and communityowned wind turbines. Such projects usually work by enabling exchanges of energy between producers and consumers inside a microgrid which serves the community, providing local energy resilience to future supply shocks. One house can buy excess renewable generation from a neighbour's solar panels, or from a community wind turbine. Blockchains are best known as the technology behind cryptocurrencies such as Bitcoin, but are increasingly explored in community energy systems. Blockchains can act as a digital record for tracking energy and money transactions, without the need for a utility company to act as a trusted intermediary. Simply defined, blockchain is a shared log of transactions, copies of which are shared by multiple parties, forming a distributed ledger. These ledgers take the form of an expanding chain of interconnected blocks of information (hence the name "blockchain"). Each new block added contains a pointer and a cryptographic hash of the data from the previous block, forming a linked list. This assures that blockchains are tamper-proof, as no party can change the information in a previously written block without this change being detected by all parties. In an energy context, blockchains promise to enable "real electron trading", where the energy bought can be traced to the specific generator, battery or storage unit it came from at the time it is consumed. This is different from a consumer simply purchasing energy from a "carbon-free" utility company, which sources their energy from a renewable generator such as an offshore wind farm. In practice, this is not as effective, because due to power network constraints, the demand during peak times can often only be met from a nearby conventional power station that burns fossil fuels. By contrast, a community energy scheme using blockchains enables the consumer to buy power directly from the solar panel of their neighbours or from local storage. It also provides the choice to specify what should happen if the neighbour's solar panels cannot supply power when needed - for example, it could defer some of the loads until locally generated renewable energy becomes available again. This not only cuts carbon emissions but also keeps energy revenues in the community. One of the main ways in which blockchains can enable this process is through so-called smart contracts - peer-to-peer agreements to supply energy which consumers can make with energy producers. Once a contract has been agreed, an algorithm will automatically enforce the terms and regulate the exchange of energy and money, without the need for a central trusted authority. For instance, a user could specify from which neighbour's solar panels they prefer to buy energy at any given time. If the smart meter of the energyexporting neighbour is linked to the blockchain, it can automatically detect how much energy is generated or exported and record this information, along with the transfer of the corresponding amount of money. It can also record how many other parties the neighbour has made contracts with and prevent double counting. One key issue blockchain technology needs to overcome is its reputation for wastefulness, courtesy of its use in crypto-currency mining - a huge consumer of electricity. The Bitcoin network alone has been estimated to require as much energy as Ireland to run every year. This is because, in the absence of a central authority, establishing which party can write a new block on the chain is done through performing an energy intensive computation, through a mechanism called "Proof-of-Work". In recent years, research attention has shifted to consensus mechanisms that are faster and more energy efficient, such as Proof of Stake or Proof of Authority. The Bridgestone World Solar Challenge could be the "World Cup" of PV-powered auto racing. Now in its 30th year, the event has demonstrated the practicality of solar energy while competition challenges engineering students, faculty and researchers across the world to show how photovoltaic energy is changing how we live, work and drive. The sun peaks over a horizon of dry, cracked ground so unfamiliar that it seems alien. Moments into the new day, with the heat rising quickly, a team of engineering and business students cheer their car onto a stretch of tarmac that seems to go on forever. This is day two of competition, and you're inside one of the most advanced vehicles on earth. 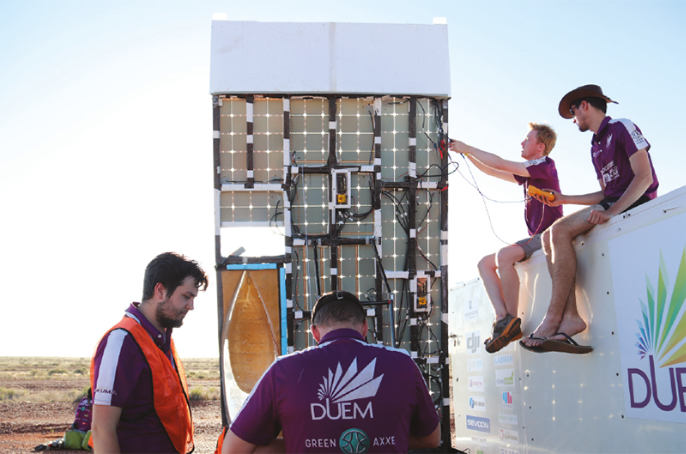 You are the driver of Durham University's latest solar car, and you're racing to Adelaide from Darwin, Australia powered only by photons. This is the World Solar Challenge, and being in it is like no other feeling on earth. While the solar challenge has become the litmus test of advanced solar automotive tech, it started 30 years ago as a means to demonstrate that solar energy could not only power homes and businesses, but with the right innovative thinking, it could be a practical and clean automotive power source, too. 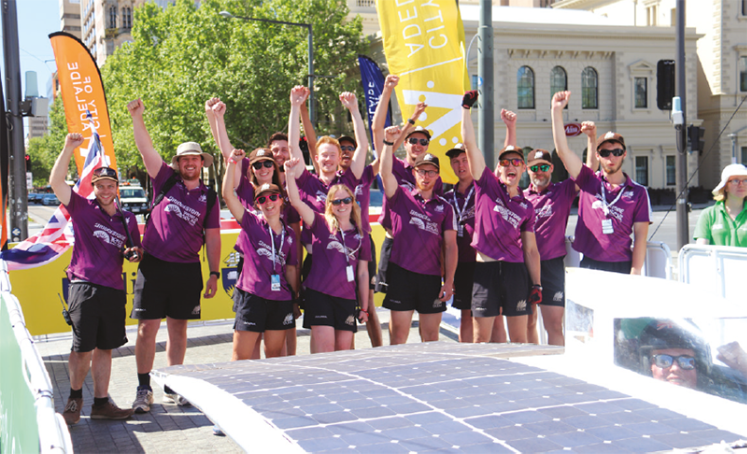 Today's solar racers are typically wonders of streamlined engineering strangely unlike conventional petrol and diesel powered cars, their PV cell covered bodies are demonstrating what's possible, steadily increasing speed and endurance. They are edging closer each year to the dream of World Solar Challenge (WSC) founders Hans Tholstrup and Larry Perkins of demonstrating that solar power can find a place wherever electric energy is needed - even in what is today the high octane world of competitive automobile racing. At Northern England's Durham University, the World Solar Challenge is one stop along a road that is taking students towards exciting careers in multiple engineering and business disciplines. Just like commercial auto makers, building a solar car from the wheels up involves everything from exterior design and fabrication to motor development and refinement, as well as business management, publicity and fund raising. Students participating in the Durham University program, now about 50 in all, work hard in every category needed to design and field a solar racer. Everyone pitches in, whether their interests are designing new electric motors or ultrahigh performance gallium arsenide solar cells, there is work to do and only so much time before the next race. Solar+Power Management Technical Editor Mark Andrews spoke with solar car team business manager, Tobias McBride, about the challenges of fielding the hand-built Durham University Electric Motorsports (DUEM) vehicle. McBride, a Durham University Business School Masters in Management student, is part of the eight-person, all-student executive management group overseeing key team activities from logistics to vehicle engineering. With the encouragement of faculty including their academic adviser, Dr. David Sims-Williams, the DUEM team has already built three generations of cars, a journey that began in 2002 and has continued across multiple races including the World Solar Challenge that DUEM entered first in 2008. As the team notes in describing their challenge, the students thought that their expertise and interest in renewable energy should make them contenders in the quest to bring solar energy into the limelight of automotive technology. The fact they chose to do this from their campus in, "...arguably one of the coldest and wettest places on earth in the North of England..." was not only ironic, but a testament to their dedication and perseverance. As one of the senior members of the DUEM team, McBride has seen the team grow over his years at university. He has been involved in just about every aspect of the program, and like all students on the team, has found that solar car experience can propel a career in renewable resources, but as most students also discover, their activities support any professional interest where innovation and leadership are prized. "The DUEM team is entirely student-run and led and has been since its founding in 2002. As the UK's most established solar car team, we work closely with our partners in establishing technical capabilities, utilising our combined resources and capabilities to the maximum. We also have deep integration with Durham University and the Business School itself; we are incredibly lucky to utilise their facilities as well as consult with their wide range of academic expertise. My specific role as head of the DUEM business team is to raise the necessary funds needed for the team through external sponsorship, and manage businessorientated tasks effectively, in order to achieve these goals," McBride noted. The Durham team has fielded three solar cars and is now developing its fourth vehicle based on successes and learning experiences garnered since its first car took to the track in 2008. Sponsorships are key to the program's continuance, and sponsors also bring valuable expertise to complement the students' own work and university resources. "2018 is a major year for the team. In our 16th year, we are designing a brand new solar car entirely from the ground up. This is a major technical and financial challenge and is not something we undertake lightly! We are the only solar car team whose members design, engineer and manufacture every single component on the car - other teams sub-contract out. This means although it may take longer, we develop expertise across a wide-range of disciplines and this keeps our budgetary costs an order of magnitude below our competitors. This means our sponsors and partners see larger value-added from their support." 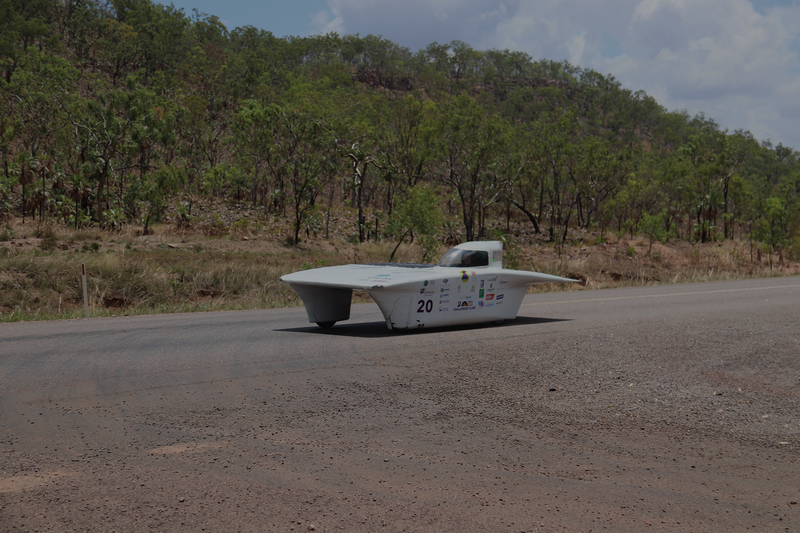 "We will also be taking our two past solar car models to events around the country. 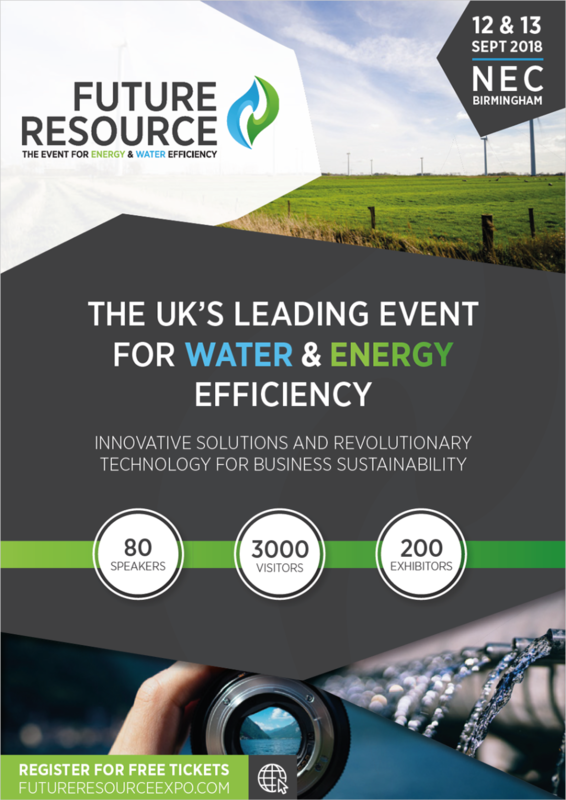 We presented at Cleantech Innovate, London, on 20th March and we were also at Energy Live in London on 7th June. We will continue to expand our marketing reach for the team, university and sponsors at other events like this alongside our outreach campaign to inspire the next generation of STEM and business students," McBride said. While the Durham University team has fielded cars in the World Solar Challenge, considered the most grueling of all long-distance solar car races, and have finished events that many others have not, they haven't yet brought home the number of top finishes as the more heavily sponsored teams from The Netherlands and Germany; those teams have consistently ranked amongst the top finishers in the last five World Solar Challenge races, which are held every other year. "Our primary goals have not changed, and neither have many of our obstacles faced since we began in 2002 and first raced in 2008. We want to design, build and race the world's best solar cars. Our strategy is formed around the idea of providing a powerful education platform to inspire the next generation of STEM and business students around the world. We showcase our car at world-renowned events, inspiring the public to think differently about our climate. We design and manufacture the most efficient, fastest and most innovative solar cars in the world. We have achieved 16 years of being at the forefront of innovation," he said. The DUEM team is unique in that while winning is an important ultimate goal, the university program has always stressed innovation and much of that emphasis has been seen in the students' ability to design, develop and fabricate most of its solar vehicle's components. While this isn't the easiest approach, it delivers the best learning experience and has yielded some amazing innovations, including their vehicles' electric motors that are over 99 percent efficient. "We are one of the leanest solar car teams out there, operating on budgets quite considerably below the millions some teams have. However, we continue to design and manufacture everything ourselves enabling us to keep costs low as well as experience for team members high. The fact Durham designs its own motors is incredibly rare. The main precedent we follow is that of efficiency. We want to maximise every megawatt we produce from our solar array that goes into the car's performance. Our design has no drivetrain as such - no chain link, gearbox or any such areas where efficiency loss is severe. Building it into the wheel-hub itself is a very unique design and one we look forward to evolving and reinventing these designs in the years ahead," McBride said. While the Durham University team focuses on its latest vehicle design and manufacture, the opportunity for potentially taking solar car components and vehicle designs into the commercial sector has not escaped either team leaders or faculty advisers. "Our motors' efficiency is exceptional, and while we haven't yet spoken to automotive manufacturers about commercialization, the future is long and we are always keen to explore commercial opportunities for the project as a whole and the technology and innovation we have pioneered. We'd very much welcome approaches in this and other regards," he said, adding that, "Our main USP is the motor but aside from that our work on aerodynamics and aerodynamic efficiency is world-class, with some of the best facilities for computational fluid dynamics (CFD) and wind-tunnel testing. No doubt this has incredibly attractive opportunities going forward." While the team readies its latest design for production ahead of the 2019 World Solar Challenge, they are working to demonstrate at events across the UK and Europe that solar technology - already common in homes and businesses, has a future in automotive transport. The WSC is also working towards that goal, now adding a so-called "cruiser" class to its high speed "Challenger" and the anything goes "Adventure" class. Particularly for Cruiser entrants, the goal is to demonstrate practicality that can translate into vehicles designed for daily driving that may sit alongside conventional petrol and diesel vehicles in the not too distant future. "Our car directly deals with concerns the driving public might have about solar cars (in general). Range anxiety and the availability of electricity are both resolved by having the solar cells embedded into the structure of the car and the charging mechanism, theoretically eliminating the need to ever plug into the grid. It's this complete solution combined with advances in battery technology like Lithium-Sulphur and exploration into graphene and other advanced technologies and materials that will ultimately yield the most fruitful results." "We feel the time is very much apt to move away from talking about solar cars as a technical exercise to something that has true commercial potential; both integrating them into the charging grid and to the cars themselves. With the advances in infrared cells in particular, these could be theoretically placed anywhere on the car to capture ambient heat from the tarmac/concrete canyons so many of us call home. This is an unbelievably exciting field and something we as Britain should be really pushing to be world-leaders in!" Business and manufacturing building rooftops represent a tantalizing opportunity in the eyes of commercial solar power developers. In the United States alone, it is estimated that businesses have as much as 50 billion square feet of developable space, with double that amount available across parking garage rooftops. But C&I projects also come with engineering challenges and regulatory requirements far different than residential PV or even megawattscale projects built in low density open spaces. West Hills Construction was well experienced in C&I developments when it started a new journey that would change its solar business model. But even with a decades-long track record of more than 10 million square feet of building along with dozens of major solar installs, the company faced stiff competition across its markets when the company started looking for new competitive advantages in 2016. The company needed an edge since PV installation has undergone dramatic changes in the last five years, including a greater than 50 percent decline in module costs. According to the International Renewable Energy Agency (IRENA), balance of system (BOS) cost is now a primary differentiator between one company's quote for installing a PV system compared to another's. With tariffs now in place on many imported panels, margins that were already tight are becoming even more challenging. West Hills Construction found their edge through a new business called Edison Microgrids that was developed by IdeaLab, a business incubator program in Southern California. Edison Microgrids had developed a new solar panel tracking system that promised to offer something different. Edison was about to release its new PV Booster tracking technology in 2016 when West Hills Construction and long-time client, Harry Ross Industries (HRI), first started talking about gamechanging solutions for adding solar to commercial properties. HRI was no stranger to solar power in business construction projects; the company was looking for new technology that would support their development of a warehouse property in Oxnard, California for its tenant, Chiquita Brands International. Edisun Microgrids and West Hills Construction met at the trade show where PV Booster was introduced. Trade show banter led to the first large-scale implementation of the PV Booster system that not only provided single axis tracking motion like others, but added a second axis along with proprietary tracking and performance optimization software. Together, Edisun's approach enables banks of PV modules to optimize position based on time of day and year, ensuring ideal positioning from sunup to sundown, significantly increasing the energy output potential for an entire array. 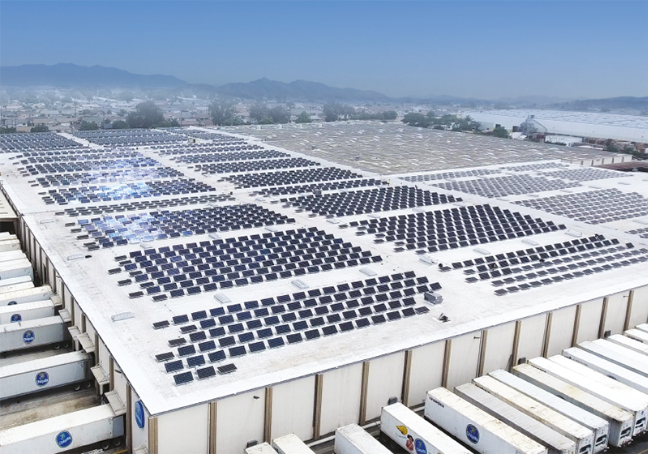 The Chiquita warehouse installation required 2,900 PV Booster trackers across 368,000 square feet of a 528,000 square foot cold storage warehouse with 1.0 MW generating capacity. According to Edisun Microgrids, the project increased the building owner's property value by more than (USD) $4 million with zero increase in the tax base due to solar costs; the tenant saved more than $1.4 million in the project's first year, Edisun stated. 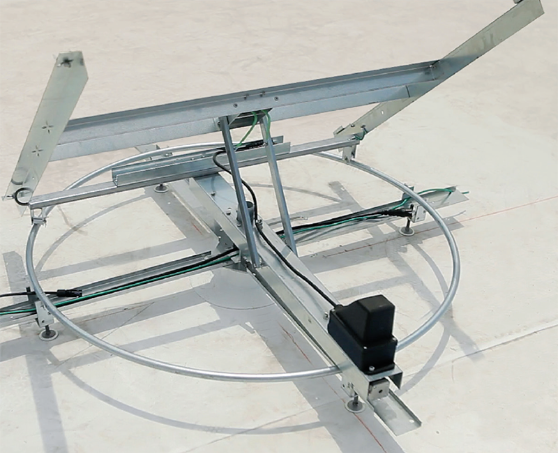 In addition to its dual-axis approach and tracking software, Edisun's PV Booster addresses other challenges of rooftop C&I, including factors that can keep trackers off rooftops due to size, weight, mounting hardware and the potential for roof damage, as well as windage concerns. The first benefit West Hills' installers recognized was the PV Booster weight advantage - 50 percent lighter than competing solutions. PB Booster also keeps panels far enough away from roof surfaces that heat transfer is reduced, which generally increases electricity production efficiency and can also extend PV cell/panel lifetimes. The low profile design of PV Booster also reduces windage impacts. High efficiency tracking also pays off with greater energy production. "It is essential to understand that one of the most important benefits of PV Booster is that it generates a 30 percent kWh boost, which translates into 20 percent better economics compared to fixed tilt competitors. Again, these are the benefits that led West Hills to select PV Booster for the Oxnard/Chiquita project and we're excited that they're enjoying the benefits," noted Conrad Chase, Edison Microgrids vice president of sales and business development. When Edisun Microgrids launched its PV Booster product in the fall of 2016, Chase said that, "we got a fantastic response to the technology at our booth when it was first exhibited. There were people who hadn't conceived of a dual axis tracker before, so seeing one specifically designed for C&I projects was welcomed warmly. We linked up with West Hills Construction after that," Chase noted. West Hills Construction Vice President Rusty Wood said that his company had been looking for a dual axis tracker for some while before discovering PV Booster, but didn't find anything that was practical for their largescale needs and strict commercial building code requirements. PV Booster came along at perfect time for the company and its clients. "We had looked for a dual axis system for some while, and we immediately recognized the benefits of the PV Booster," noted Wood. "The owner (HRI) wanted to add PV to their roof, but there was concern about weight and how to handle it if a need arose to take out panels, or to rearrange if necessary. The PV Booster met all those (needs,) and the economics were fantastic. It beat out fixed tilt and the other options that all involved compromises." "With this product, we have great water proofing; we have had no leaks. Also, it offered an easier electrical architecture. We needed a lot less high tech electrical labor; we had one (optimizer?) per tracker, and that made it easy to setup, relatively speaking." Wood said that PV Booster also had a serious impact on West Hills' ability to meet customer expectations and speed projects to completion. "We saved at least 50 percent on installation (time.)" Shorter installations generally reduce overall costs, which delights customers, but less time on rooftops also allows client businesses to resume full operation and for PV assets to begin energy production more quickly. Wood noted that with large scale C&I projects, many outside the install business don't appreciate how disruptive the entire process can be on a commercial structure's operations since code requirements may limit the degree to which workers inside a building may be on the job while installers are putting panels in place on a roof overhead. 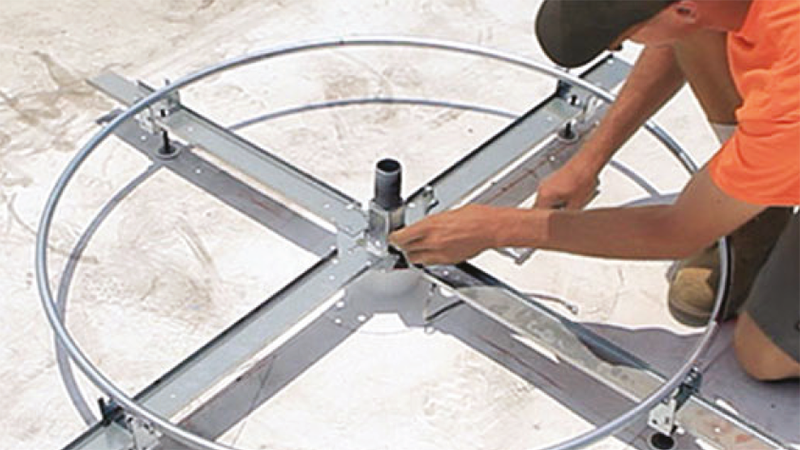 Reducing installation up to 50 percent is a decisive advantage. Looking ahead, Wood said the Edisun PV Booster system has long-term benefits that are especially appreciated at a time when solar installers and developers need every edge possible. "I think this type of system could definitely improve the future of our (jobs) pipeline. I won't say that some of the disruptions now occurring in the solar industry are not hitting us, but this is one tool or weapon in the arsenal that is performing beautifully, and helping us remain highly competitive. This is keeping the pipeline filled. Also, when you are incorporating other technologies like (energy storage) batteries, this product combined with all else we can offer is helping to make the future for us." On one level this is a story about changes in relative costs. 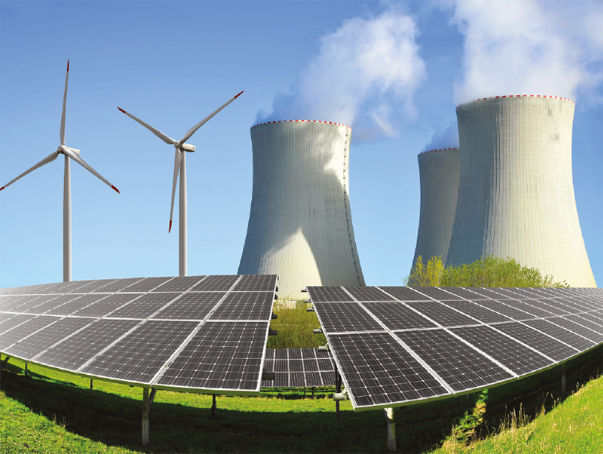 The costs of solar and wind have plunged while nuclear has become almost astoundingly expensive. But this raises the question of why this came about. David Toke argues in his new book, Low Carbon Politics, it helps to dip into cultural theory. The first three categories help explain different actors in the electricity industry. For governments and centralised monopolies often owned by the state, read hierarchists. For green campaigning organisations, read egalitarians, while free-market minded private companies fit the individualist bias. The priorities of these groups have not greatly changed in recent years. Hierarchists tend to favour nuclear power, since big power stations make for more straightforward grid planning, and nuclear power complements nuclear weapons capabilities considered important for national security. These cultural realities lie behind the problems experienced by nuclear power. To compound green opposition, many of nuclear power's strongest supporters are conservative hierarchists who are either skeptical about the need to reduce carbon emissions or treat it as a low priority. Hence they are often unable or unwilling to mobilise climate change arguments to support nuclear, which has made it harder to persuade egalitarians to get on board. This has had several consequences. Green groups won subsidies for renewable technologies by persuading more liberal hierarchists that they had to address climate change - witness the big push by Greenpeace and Friends of the Earth for the feed-in tariffs that drove solar uptake in the late 2000s, for example. In turn, both wind and solar have been optimised and their costs have come down. Donald Trump's administration in the US, for example, has sought subsidies to keep existing coal and nuclear power stations running. This is both out of concern for national security and to support traditional centralised industrial corporations - classic hierarchist thinking. Yet this has played out badly with individualist corporations pushing renewables. Trump's plans have even been rejected by some of his own appointments on the Federal Energy Regulatory Commission. Yet even hierarchists cannot ignore economic reality entirely. The South Carolina project has been abandoned and the Georgia project only survives through a very large federal loan bailout. Contrast this with casino complexes in Nevada like MGM Resorts not only installing their own solar photovoltaic arrays but paying many millions of dollars to opt out from the local monopoly electricity supplier. They have campaigned successfully to win a state referendum supporting electricity liberalisation. The UK, meanwhile, is an example of how different biases can compete. Policy has traditionally been formed in hierarchical style, with big companies producing policy proposals which go out to wider consultation. It's a cultural bias that favours nuclear power, but this conflicts with a key priority dating back to Thatcher that technological winners are chosen by the market. This has led policymakers in Whitehall to favour both renewables and nuclear, but the private electricity companies have mostly refused to invest in nuclear, seeing it as too risky and expensive. The only companies prepared to plug the gap have been more hierarchists - EDF, which is majority-owned by France, and Chinese state nuclear corporations. Even then, getting Hinkley C in south-west England underway - the first new nuclear plant since the 1990s - required an extensive commitment by the UK treasury to underwrite bank loans. There is also an embarrassingly high price to be paid for the electricity over a very long 35-year period. Such has been the bad publicity that it's hard to imagine a politician agreeing to more plant on such terms. Where does this reality leave hierarchists? Increasingly having to explain prohibitive nuclear costs to their electorates - at least in democracies. The alternative, as renewable energy becomes the new orthodoxy, is to embrace it. In Australia, for example, a big utility company called AGL is trying to seduce homeowners to agree to link their solar panels to the company's systems to centralise power dispatch in a so-called a "virtual power plant". It would be easy to think that the CPV industry has completely disappeared. Deployment of this technology has fallen through the roof, with many big names having filed for bankruptcy over the last few years. However, there is still activity - and with that comes hope. Early last year STACE - Saint-Augustin Canada Electric Inc., a supplier of large electrical equipment in the power generation industry - acquired Soitec's CPV technology; and in Europe, a collaboration between several companies is currently developing a lower-cost, highly efficient CPV system that borrows high-volume manufacturing techniques from the optoelectronics industry. 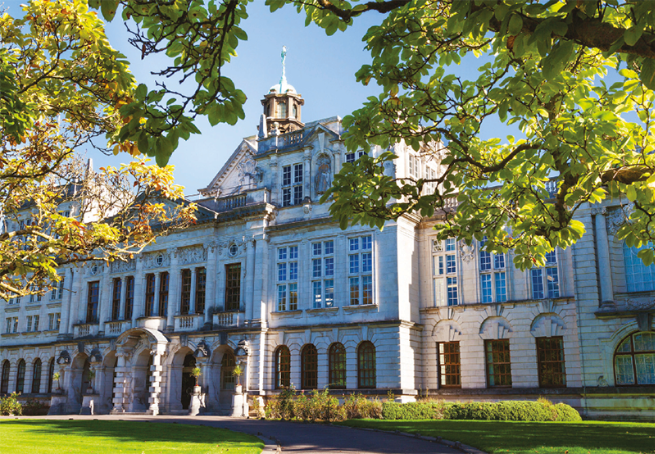 The latter project was detailed at Advances in Concentrator Photovoltaics for Space and Terrestrial Applications, held at Cardiff University on 8 March. 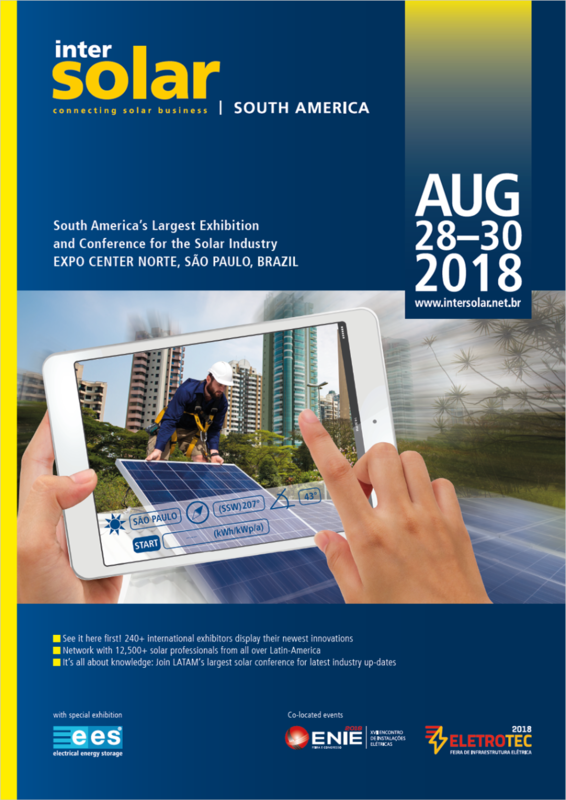 Spokesman for the project, entitled A low Cost, High Efficiency, Optoelectronic HCPV Module for 1000 Sun Operation, was Andy Johnson, IQE's Solar Business Unit Leader and CPV Technology Director. According to Johnson, the focus of the €1.24 million project is to improve the performance of the FullSun CPV modules. The starting point is a design that has a concentration of 625 suns, and produces an efficiency of 30 percent by harnessing concentrated sunlight with cells that have a 36 percent efficiency. The targets are to increase efficiency to 1000 suns, and to realise a 37 percent module efficiency using triple-junction cells with a higher efficiency than before. Three different triple-junction cells are being evaluated in the project: a generic, lattice-matched design from IQE that has an efficiency of 39 percent or more at 1000 suns; an Azur Space 3C44 cell, which has an inverted metamorphic architecture with an efficiency in excess of 42 percent at 1000 suns; and a lattice-matched device made by Solar Junction, which features a dilute nitride for the lowenergy junction. 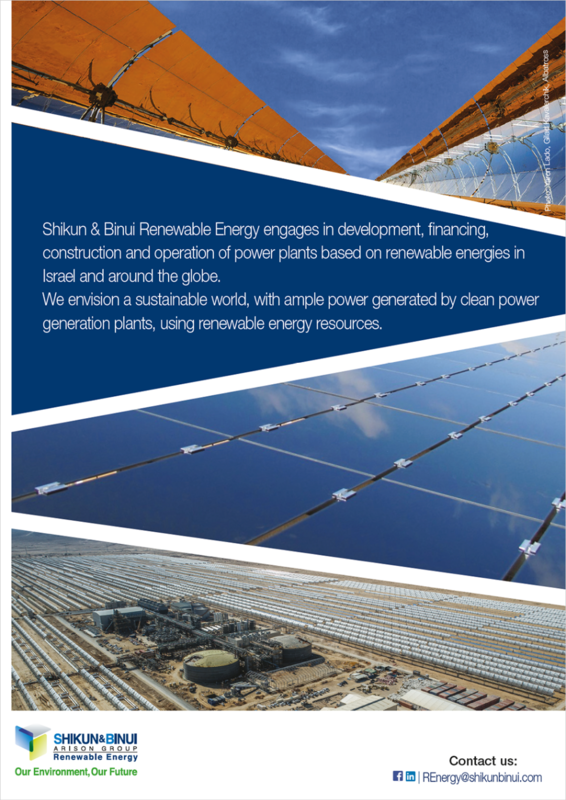 "Solar Junction's materials was grown by MBE," said Johnson. The philosophy behind the module, made by FullSun, is to adopt best practice from the optoelectronics industry, including the use of surface mount technology. This approach, which drives down capital costs, involves the use of cells that are just 1.3 mm square. These cells, which are covered by a silicone lens and packaged on lead frames, are sparsely arranged on an aluminium back plane. "There is no need for additional heat sinking," explained Johnson. Benefits of this design of module include reduced maintenance and purchase costs. What's more, the units have a low mass - they are less than 4 kg - and a thickness of just 48 mm, making them easier to transport; and installation is straightforward, trimming labour costs. Johnson explained that a team at Fruanhofer ISE is behind the changes to the optical design of the module that is propelling the concentration from 625 suns to 1000 suns. Given a target area of 1 mm by 1 mm, the team retained the secondary optical element - that is, the silicone lens on top of the cell - and just adjusted the primary optical element, the Fresnel lens. Its focal length could be changed. 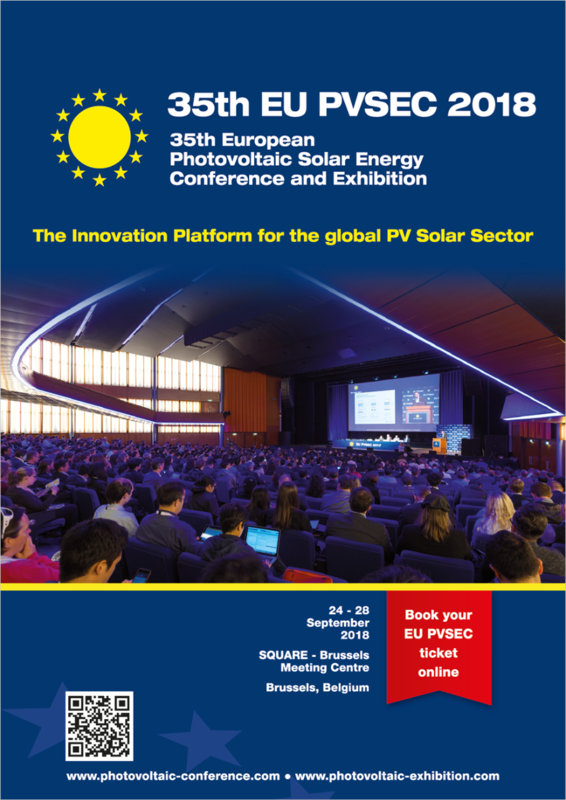 Another partner in the project is the III-V Semiconductors Group at the Solar Energy Institute of the Technical University of Madrid (IES-UPM). This team have worked on optimising the grid on the 1.3 mm by 1.3 mm cells, by evaluating the impact of varying grid line width and the number of fingers. They considered using between 12 and 25 fingers, and found a sweet spot of 14 to 18. The team's next step is to compare the performance of different grid structures. These researchers only have a few more months to work on this. Assembly of the 1000 sun modules is slated for the third quarter of this year, and testing is scheduled to follow in quarter four. These field tests will take place at the University of Cypress, an ideal location for putting any photovoltaic system through its paces. It is hoped that this design, which will be mounted on a twoaxis tracker, can get close to a cost of €0.35/W to €0.45/W. This metric is widely used. However, its validity was questioned in a talk given by Carlos Alogora, head of the group at IES-UPM. He championed the use of the levelised cost of energy, which is equal to the total lifecycle cost, divided by the total energy generated over the lifetime of the system. According to Algora, this is a superior figure of merit, because as well as including the initial purchase price of the system, it accounts for maintenance and operational costs and the lifetime of the system. Algora went on to point out the importance of the reliability of the cells - this impacts degradation, operation, maintenance and system lifetime. He stressed that reliability is different to qualification. According to him, the purpose of qualification is to try and give confidence to customers, and to avoid infant mortality, while any assessment of reliability ideally involves field tests. However, as deployments of CPV systems are recent, reliability has to be gauged with accelerated lifetime tests. "The purpose [of the reliability tests] is to find out how, when and why failure will occur," explained Algora, adding that the right approach is to stress one parameter while leaving all others unchanged. Tests were undertaken on 45 commercial, latticematched, triple-junction cells with dimensions of 7 mm by 7 mm. Standard operating conditions for these cells are a concentration of 820 suns, and a device temperature of 80 °C. To accelerate degradation, cells were stressed at 119 °C, 126 °C and 164 °C, while driven at a forward current of 3.2 A to emulate the intensity of illumination of sunlight on the device. Measurements of currentvoltage characteristics offered an insight into degradation. Using an Arrhenius-Weibul model, Algora and coworkers determined that the probability for cell failure after 25 years is only around 0.1 percent, and that the warranty time for a 5 percent failure rate is more than 110 years, assuming 5 hours of operation per day. At first glance, that looks like a great result. However, Algora warned against getting too excited, because cells don't work at a constant temperature. He argued that the key question is this: "How long will they work in real conditions?" To try answer this, he and his co-workers have carried out calculations for a cell operating in a CPV system featuring a Fresnel lens. They determined operating temperatures for different ambient temperatures and wind speeds, for cells in CPV systems situated in Madrid, Denver and Tuscon. Advances in Concentrator Photovoltaics for Space and Terrestrial Applications, was held at Cardiff University on 8 March. For Madrid, the mean temperature is an warming 67 °C, while the figure for the mode is 78 °C. However, there are times when the cell exceeds 100 °C. "When the temperature is greater than 100 °C, this has a tremendous impact on solar cell performance," revealed Algora, who explained that this shortens the warranty time from over 100 years to just 35 years. In Tuscan, the cells could get even hotter, spending some time above 110 °C. This slashes the warranty time for the system to 15 years. Meanwhile, in Denver, where it is cooler, the warranty would be 60 years. Obviously, it is critical to prevent the cells from running at high temperatures. One option is to increase the thickness of the back plane to enhance heat dissipation, but this adds not only to the weight, but also the bill-of-materials and the shipping costs. Reducing the concentration would also lead to lower chip temperatures, but at the expense of less generated power. Better still, argued Algora, is to use smaller cells, as they are better at dissipating the heat. It's a point that Johnson and his partners would have delighted in hearing, as this is the route they have adopted. During Algora's talk, delegates were reminded of the insights that can be made by modelling the performance of the CPV module. Up until very recently, the barrier to this had been the need to write code to simulate a CPV system - but that's no longer the case, thanks to the release into the public domain over the last few months of a model developed at Imperial College London. Diego Alosno-Álvarez highlighted the capabilities of this software. The code, which has been developed by the team at Imperial over many years, has been released as an open source this year. The current form, Solcore 5, builds on its predecessors by including tunnel-junctions in device design. Features of this open source, which is considered to be both a teaching and a research tool, include: a database for the properties of III-V, silicon and germanium; and an option to select either a laser, an LED, a form of Blackbody radiation or a standard solar spectrum as the illumination source. A limitation of the current model is that it is not equipped with ray-tracing for micro-textures, such as plasmonic structures. Addressing this could be one of the goals for the future, explained Alosno-Álvarez, along with improved documentation and benchmarking of the software. The insights provided by this tool, by the work of Algora, and by the IQE-led team developing a 1000-sun concentrator should improve the competitiveness of CPV. But there is no doubt that this elegant form of photovoltaics still has a long way to go before it can slacken the vice-like grip that silicon has on this market. The 2018 GETI report, issued by Airswift and the Energy Jobline, studied recruitment and employment trends at renewable energy, fossil fuel and nuclear power companies across 163 countries, showing that energy companies, whether carbon-heavy or neutral, have engaged and motivated workforces. While many leading indicators studied in the GETI report are headed in positive directions, the authors noted that much of the optimism they saw - particularly in oil and gas industries - hinges on continued automation and digitalization that enables workers to enjoy more flexible and engaging work environments compared to conditions even as recent as those in 2015. The 2018 report tabulated survey responses from 21,000 professionals, skilled tradespeople and human resource managers working across the energy sector. According to report authors, a clear majority (77 percent) of energy professionals believe automation and digitalization are positive developments within the overall sector, overriding any concerns about job security. While digitalization and automation can and have taken jobs in some industries, the opposite is largely true in the energy sector: greater use of advanced technology including remote sensing is leading to better work environments and greater flexibility. This process is creating opportunities to remotely fulfill job responsibilities and has contributed to better monitoring and maintenance that has in turn meant employees spend less time in the field, have less exposure to potentially hazardous conditions and can enjoy the flexibility that enables work from home and other non-traditional locations. The sense of optimism that researchers found goes beyond operational benefits and include the "softer" benefits that can be crucial to attracting and retaining talent in a competitive energy landscape. In particular, roughly 40 percent of those citing increased happiness over the past three years attributed their improved circumstances to digitallyenabled modern workplace trends like flexible scheduling, improved safety and greater senses of personal empowerment. Clearly, the report shows that while having what employees consider a "good" salary is a key factor to attracting top talent, the reason workers stay on a job vary greatly. Worker satisfaction is also heavily influenced by elements that executive management may be challenged to appreciate to the same degree that has traditionally accompanied salary and other benefit considerations in bottom line driven industries. The report also points to the fact that a sizeable number of professionals and tradespeople across oil and gas, energy distribution and petroleumbased industries are largely happy, seeing their work places as having long-term growth potential despite the rising tide of renewables across the electricity generation ecosystem. In renewable energy, report authors see a key difference between their 2018 findings and the previous year: pay is rising overall for persons working within renewables, albeit slowly. Forty-five percent of professionals reported that their pay had risen in the last year, against another 45 percent who said that their compensation had remained the same. Despite which side a person found themselves, the sector remains optimistic overall. Two-thirds of workers anticipate an increase in compensation over the next year and 28 percent expect pay to rise by at least 5 percent, a figure that outpaces expectations in every other sector except power. Forty-three percent of renewables professionals would consider a switch to another sector, with oil and gas (11 percent) the most popular alternative. Solar+Power Management Technical Editor Mark Andrews asked GETI report authors about progress amongst renewable energy professionals and tradespeople, and learned that while there is a significant degree of mobility between fossil fuel production and distribution professionals, a significant degree is between electrical power distribution and decentralized wind and solar power. "Renewables, especially offshore wind, is an industry that continues to grow. And, due to the nature of the work being offshore, it is a natural place for oil and gas professionals to migrate their skills. At the same time, the oil and gas sector is cyclical and the world is becoming more "carbon conscious," which means renewables is perceived as more stable with better career longevity," noted Airswift's John Currie, Recruitment Manager, Power and Renewables. While energy sector employees expect that oil and gas production is going to remain a key part of the global energy ecosystem for decades to come, some also look for opportunities to move towards less carbon intensive jobs compared to levels seen 10 years ago. "Power is a crucial resource for every country. Traditional generation methods, such as fossil fuels, produce large amounts of carbon so the developed world has had to react. Countries have had to either modify existing assets to be more CO2 efficient, or look to new generation sources such as waste, biomass or renewables to meet demand." 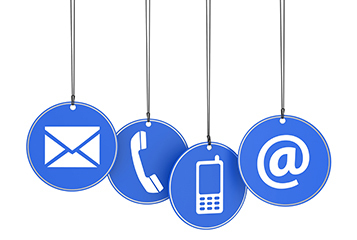 "This demand is growing due to increasing populations, digitalization and the needs of modern society. This means there is high demand for low carbon electricity which remains relatively unaffected by economic downturn. The skills needed to realise this potential are very specific and the projects are technically demanding, so the remuneration and happiness of employees appears to reflect this," explained Currie. Across industries, whether the worker is commissioning a new solar park or stationed on an oil drilling platform, a key to success is the ability to work with advanced technologies. While oil and gas industries have lost some jobs to automation, the addition of robotic or autonomous systems, remote sensing capabilities, Internet of Things (IoT) based analytical processes and advanced simulation tools have increased opportunities. Indeed, industries that have not historically been digitized are moving rapidly in that direction. "For professionals, digitalisation means that automation and mobile accessibility could create more opportunity for remote and flexible working. For hiring managers and companies, automation and the cutting-edge technologies behind digitalisation - big data, AI, machine learning - can provide new levels of operational insight to promote performance and enhance efficiency," Currie stated. Regarding the changing role of energy sector workers, Janette Marx, Chief Operating Officer at Airswift, remarked that while expertise in their respective professions is paramount, there is a continuing need for advanced education, analytical skills and the need to embrace digitalization. Employers that pay attention to details like enabling flexible work schedules and creating advancement opportunities can gain an upper hand when it comes to recruiting top talent. "Happiness is a major factor. The sector that can offer professionals the happiest working lives will win out. Oil and gas has long held an advantage when it comes to pay, and with the oil price back on the up, professionals expect that to continue. They must embrace digitalisation, setting themselves up nicely to retain talent and transfer knowledge and skills to the next generation," Marx stated. This is important because despite the obvious differences between fossil fuels and renewable energy, many skills in one part of the energy sector are transferrable to another, especially those in power distribution and in various off-shore skillsets. "Renewables, especially offshore wind, is an industry that continues to grow. And, due to the nature of the work being offshore, it is a natural place for oil and gas professionals to migrate their skills. At the same time, the oil and gas sector is cyclical and the world is becoming more "carbon conscious", which means renewables is perceived as more stable with better career longevity," Currie elaborated. "Midstream oil and gas projects, and especially downstream refining projects and operations, have talent pools with transferrable skill sets. At Airswift, we've had success in supporting this transfer of talent in many areas. A few examples include design and engineering roles with niche software experience - such as piping design and stress engineering - which always require in-depth technology and software knowledge." Renewable energy resources support long-term climate change mitigation goals by reducing greenhouse gases. While a great many workers in this sector take pride and personal satisfaction in helping meet global climate change targets, another key to understanding their satisfaction lies in ways that employers in wind, solar and hydroelectric industries have readily embraced technologies that continue to improve working conditions, safety and long-term worker satisfaction. Although the oil and gas industry typically pays employees more than their renewable energy counterparts, "...the comparatively modest remuneration hasn't stopped workers in renewables from finding contentment. The sources of happiness come primarily from the sector's embrace of digitalization: better technology, flexible working and remote working all played a part in ensuring contentment. Many companies can boast of having the relaxed office culture often found in Silicon Valley," Curries explained, something that is not typically found at most oil and gas producers. As global economies strengthen, cost-effective and clean energy production, distribution and availability will be key to continuing advances. Workers across the energy sector - whether at a renewables company or a fossil fuel provider - continue to show a willingness to relocate for better prospects. Employers should note that working conditions along with competitive pay and benefits are essential to their success. Working conditions and the ability to digitize and automate work functions are already leading to greater employee satisfaction and commitment. If the 2018 GETI report demonstrates anything, it is that employees will stay with companies that respect them and their work. By continuing to make investments that employees understand and appreciate, employers will have a substantially greater chance of retaining their top workers, giving such employers competitive advantages compared to organizations with poor employee satisfaction and high turnover. Jackie Cannon, Scott Adams, Sharon Cowley, Sukhi Bhadal, Jason Holloway. 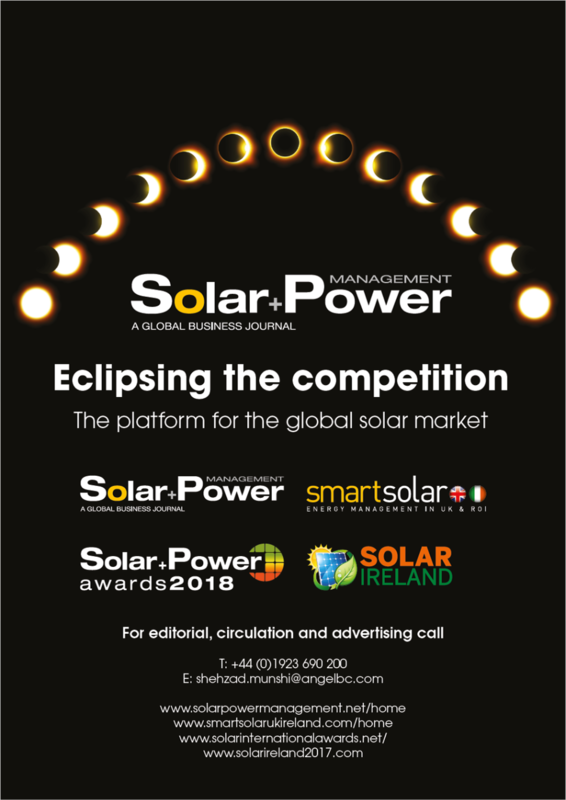 © Solar and Power Management 2018. All rights reserved.